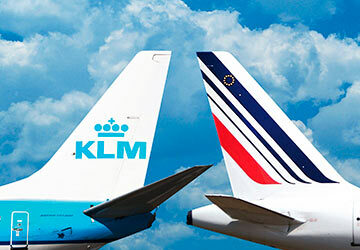 You can access student and youth discounts on flights with Air France or KLM by booking through StudentUniverse. So whether you're planning to travel for a holiday, going to or from university or on a gap year, start your search now to make some huge savings on flights to North and South America, Asia, Africa, the South Pacific and more! Travel with Air France to a host of global destinations from an airport near you. With a choice of 19 regional UK airports, from Exeter to Inverness and Belfast to Norwich, there’s bound to be a flight from an airport near you. Convenient connections at Paris or Amsterdam open up a world of possible destinations from nearby in Europe right out to the South Pacific. Below is just a selection of Air France destinations. North America: New York, Washington, Boston, San Francisco, Los Angeles, Miami, Chicago, Toronto, Vancouver. Asia: Bangkok, Hong Kong, Shanghai, Mumbai, Seoul, Tokyo. South America: Rio de Janeiro, Sao Paulo, Buenos Aires, Panama City, Lima. Africa & Middle East: Johannesburg, Cape Town, Nairobi, Cairo, Dubai. Travel with KLM gives you access to amazing destinations all over the world, flying from airports across the UK including London City, Bristol, Newcastle, and Aberdeen. Below is just a selection of the many destinations served by KLM. North America: New York, Houston, Chicago, San Francisco, Salt Lake City, Cincinnati, Los Angeles, Vancouver, Montreal, Calgary. Asia: Bangkok, Hong Kong, Shanghai, Seoul, Tokyo, Manila, Kuala Lumpur. South America: Rio de Janeiro, San Paulo, Buenos Aires, Santiago, Panama City, Lima. Africa & Middle East: Johannesburg, Cape Town, Nairobi, Marrakech, Dubai. Travelling on Air France KLM Economy Flights gives you access to the same high level of quality and innovation that premium travellers receive. Air France KLM works hard to ensure the maximum level of comfort is available on both short and long haul flights, while keeping prices competitive. You can check in online using any device up to 30 hours before your flight is due to depart to ensure your trip runs smoothly from the moment you arrive at the airport. 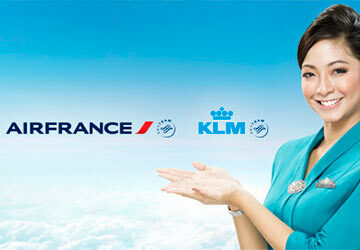 Air France KLM runs a joint frequent flyer program called Flying Blue. It works as you’d expect, allowing passengers to accrue points, or ‘Miles’, based on how often and how far you fly with the airlines. These points can then be spent on awards such as flight tickets, seat upgrades or cinema tickets. The advantage of Flying Blue is that you can collect Miles across Air France flights, KLM flights, and other partner airlines, making it easier to earn enough to claim the great awards. The more you fly, the more you collect, and the better the awards you can enjoy! In-flight entertainment on Air France KLM can differ depending on aircraft, but all long haul passengers are guaranteed a personal entertainment system that’s at least 9 inches in size. Choose from films, movies, games and multiple radio channels to keep you fully entertained throughout your flight.